February 2nd, 2019 - Does My Bomb Look Big In This? When Bake Kobo closed down, I was devastated. 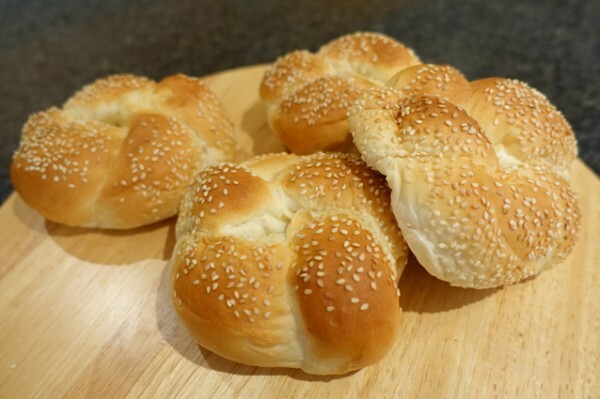 I’d been a regular to the Japanese bakery based on their milk buns, which made the perfect bacon and egg roll casings. However when Azuki, owned by Shunsuke Hashimoto and his partner Yumi Ota, slotted into its place, all became right with my world again. 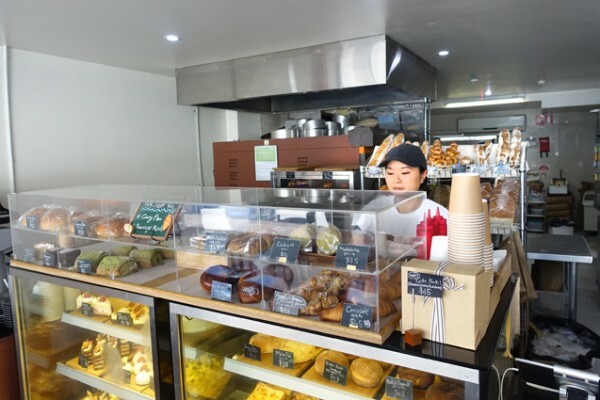 The pair, who met at the now defunct Fujipan Japanese bakery in the CBD, have actually improved upon the range and setting offered by Bake Kobo. 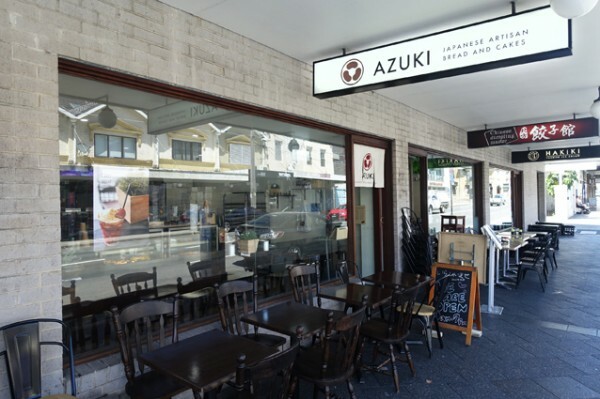 Along with a stylish window bar, they've also added more outdoor tables, so if you want to sit and eat your Kare Pan ($4.20) as you watch Enmore walk on by, you can. In case you haven’t had the pleasure, a kare pan is a Japanese curry bread that's like a stuffed, savoury doughnut, deep-fried then stored hot in a pie oven. It’s soft and pliable, and filled with gentle, semi-sweet curried mince, making for a wonderful savoury snack. My other lunch-time obsession here are their Mentaiko ($5.50). These are long, thin baguettes filled with spicy cod roe. 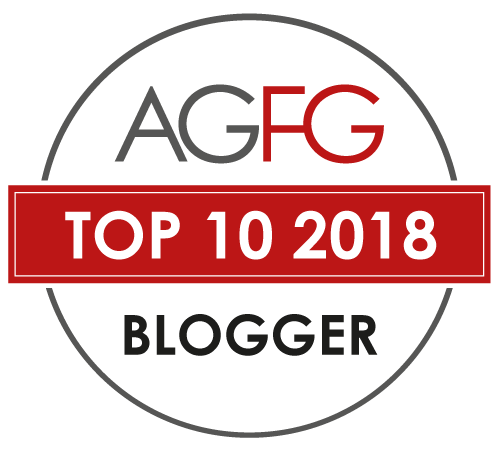 Yes, it sounds weird, but this seasoned orange filling has a delicious salty, maritime complexity that's incredibly compelling, especially when complemented by their chewy, crusty bread. Their Charcoal Sesame Sourdough ($6.80) is another breakfast favourite. 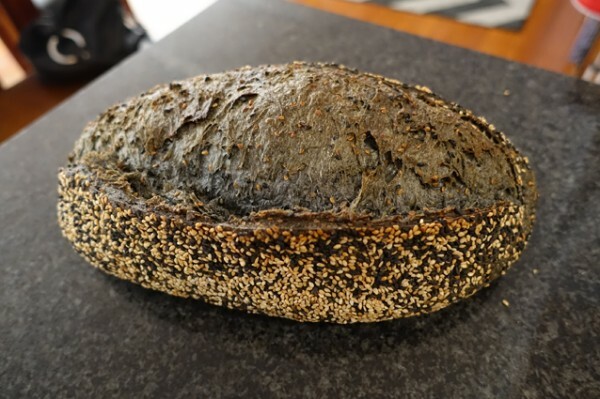 The darkly coloured bread is so thickly crusted with sesame seeds, it summons nut butter. This slightly sour bread thankfully avoids the too-dense trap. With such big flavour, it's particular great toasted under sliced (not smashed) avocado, with a loaf price that isn't incompatible with saving for a housing deposit. While I predominately use this spot as a baker for my milk buns (which sadly now have to be pre-ordered in advance) for many people Azuki is a cake shop. 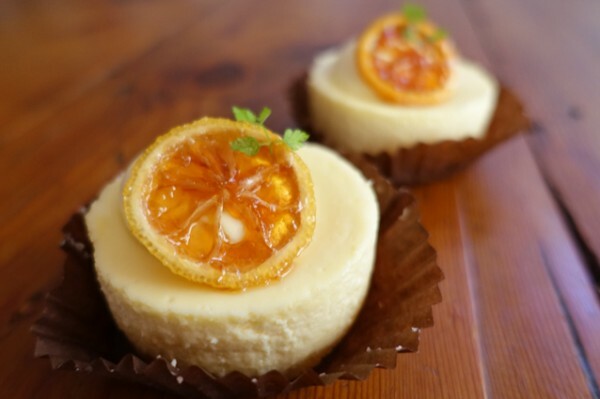 Their Hokkaido cheese tart is the standout, though I’m also a fan of the creamy, candied lemon-topped Yuzu Cheesecake ($6) made using yuzu, Japan’s fragrant yellow citrus fruit. 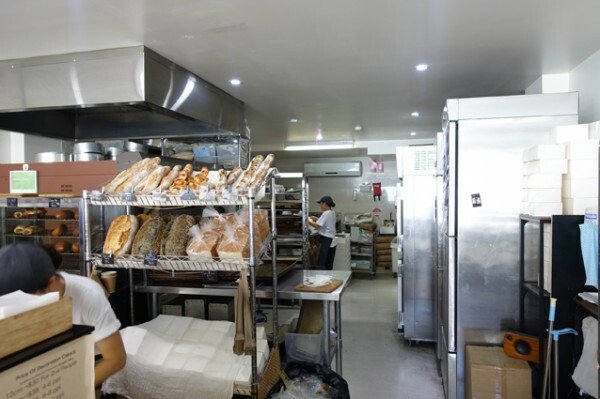 Both the sweet and the savoury range at Azuki seamlessly integrate European and Japanese baking techniques and flavours. 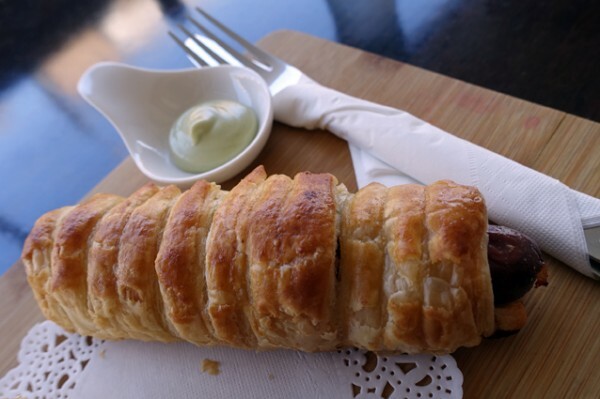 I popped in last week for a Kransky Sausage Pie ($4.80) where a quite intensely flavoured European sausage is wrapped in flaky pastry and baked, then served up with sharp wasabi mayonnaise. 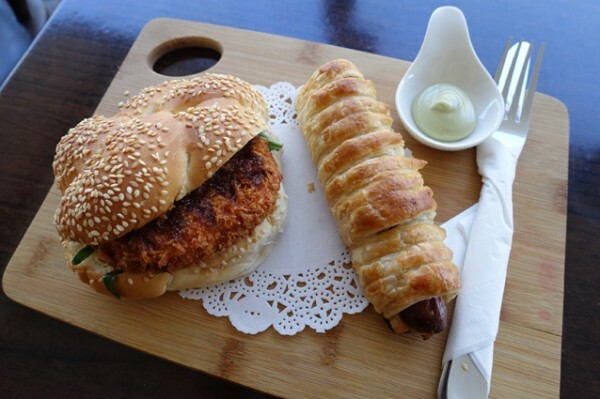 For a study in contrast, I teamed it with the gentle carb-on-carb pleasure of a vegetarian Potato Burger ($5.80). 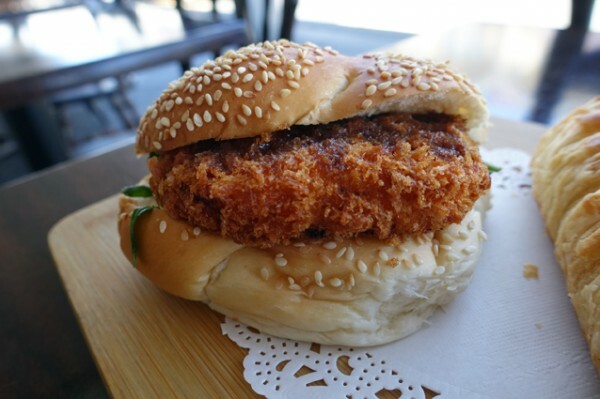 Here a panko-crumbed, seasoned mashed potato patty, crisp greens and lashings of Bull-Dog tonkatsu sauce (Japan’s answer to barbeque sauce) are presented on a sesame-seed crusted bun.